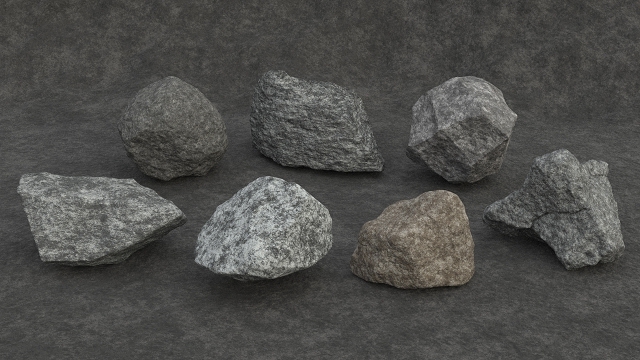 This asset generates rock geometry, UV coordinates and materials. 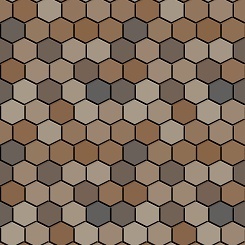 Select a base shape, either a sphere, a randomly generated shape or use input geometry. Create the rock by displacing the base shape with various noises. 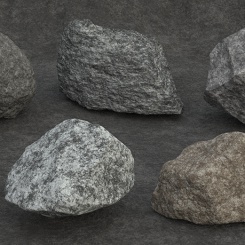 Add details such as small rocks or crystals on the rock surface. Apply additional remeshing and smoothing. 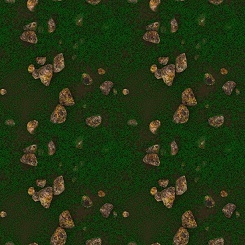 Apply a procedural material which can also be baked to a file. The asset can be used in Houdini 16 and in all applications supported by Houdini Engine, i.e. Cinema 4D R19, Maya, 3ds Max, Unreal Engine and Unity. The asset has been re-created in Houdini 16 and several old internal nodes have been replaced with the new Houdini 16 nodes. The studio version of the asset is now unlocked so the nodes inside can be viewed and edited. The "Base Shape" > "Shape Generation" section has been renamed to "Random Shape" and the previous "Generator 1" and 2 have been merged into one generator and simplified. A new "Geometry Displacement 2" section has been added under "Displacements". This creates smooth or sharp cracks over the surface. The previous "Geometry Displacement" section has been renamed to "Geometry Displacement 1". 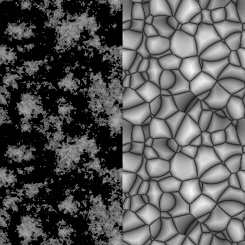 "Displacement" > "Remeshing" can now preserve edges / cracks created by the new "Geometry Displacement 2". The "Curvature" section under "Geometry Displacement 1" now has separate parameters for convex and concave curvature. A new "Details" section has been added which replaces the previous "Crystals" section. This section can now generate either random rocks or crystals to scatter around the main shape and provides much better control over the placement. "Apply To" sets if UVs should be applied to the base shape or the final shape. "Visualize UV Islands" visualizes UV islands using a UV grid and colors the islands on the geometry. The "Unwrap" mode now has more parameters to control the placement of the UVs. "Linear": generates a specific number of seams on the X, Y and Z axes. "Random": generates randomly distributed seams. "Edge Angle": generates seams on points/edges where the angle between the primitives are at or above a specific angle. "Convex Curvature": generates seams on points with the highest convex curvature. "Concave Curvature": generates seams on points with the highest concave curvature. 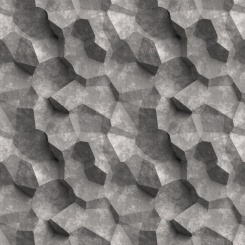 "Displacement": generates seams on points with the highest or lowest amount of displacement. "Rotate Seams": rotates the seams. "Pelt" has a new "Use Frame" parameter which is useful when the UV islands needs to be streched into squares. A new "Smooth" section has been added for smoothing the generated UVs. A new "Layout" section has been added for packing/aligning the UV islands. A new "Transfer" section has been added which is used for transferring UVs from the base mesh to the modified or final shape. The "Color" section now has color and color ramp presets and parameters to control the hue shift and saturation variation. The "Brightness Variation" section now has parameters to set the overall brightness and how to affect the reflectivity. It can also use the convex and concave curvature of the shape to modify the brightness. The "Baking" section now has parameters to set which image planes should be baked: "Base Color", "Reflectivity", "Roughness", "Displacement", "Convex Curvature" and "Concave Curvature. The "Smoothing" sections now have a new "Preserve Sharp Edges" parameter and several other parameters giving much better results. The "Output" section now has "Weighting Method" to set how normals are generated. There's also a "Cusp Normals On Cracks" which will cusp the normals on points generated in the "Geometry Displacement 2" section. "Displacement" > "Volume Displacement 2" now has a slightly modified GUI and can generate random shapes to scatter around the main shape. All "Transformation" sections now has the "Drop To Ground" and related parameters. "Displacement" > "Geometry Displacement 1" > "Direction" is now set to "Average Surrounding Point Normal" by default. The GUI for "Geometry Displacement 1" has been slightly changed and simplified. "Polygon Reduction" now has a "Mode" parameter to set either the number of polygons to keep or a percentage. Fixed an issue with transforming the object after enabling "Drop To Ground".